Constantly in search of new forms. Ceaselessly willing to explore humanity as close as possible to human truth. Across his career, from Canard pékinois(1987) to Penzum(2017), Josef Nadj has relentlessly pursued exigent and passionate choreography where gravity and compassion take turns, where depth and humour alternate. Whether he is visiting atypical authors (Beckett, Kafka, Michaux) or bringing painting along on stage with him (in performance with Miquel Barceló), Josef Nadj flourishes in complete corporal freedom. Oscillating between reality and fantasy, tradition and modernity, he explores the essential: man’s relationship with himself. Because for Nadj, dance is fundamentally a humanist act. 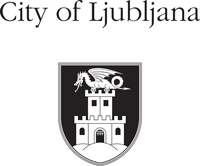 The programme of EN-KNAP is financially supported by the City of Ljubljana – Department of Culture, and the Ministry of Culture of the Republic of Slovenia. Výroba kostýmov/Costumes manufactured by: Atelje d.o.o. In 2017, Iztok Kovač, the EnKnap Group artistic director, extended his invitation to Nadj in hopes to see a revived version of Nadj’s first choreography, the legendary Canard pékinois(1987). Later, when Nadj met the six dancers, it became clear to him that he wants to pursue the idea of isolating a single motive from the original work and thus making it possible to express different variations of a tragic and dark union. After the 30-minute version of the piece has premiered in June 2017, we were pleasantly surprised when Nadj approached us with a wish to continue to work with our dancers and make a full-evening performance. That is how the latest EN-KNAP production was born – Dark union. This is definitely an exceptional compliment to EnKnapGroup, to our mature, versatile artistic expression, as well as our physical ability. For choreographer Josef Nadj, frequently described by the media as a stage magician, the revival of his first piece represents a birth of a new creative cycle – for the first time in his career he is stepping of the stage, behind the scenes and away from the stage lights, to give way to these six young interpreters. At the heart of Dark Unionis a tragic story of newlyweds who only manage to live a few fleeting moments of happiness before the impermanence of life steps between them. Nadj and the dancers try to evoke the gloomy emotion accompanying this sad relationship, which became almost legendary in his home town. The event that Josef witnessed as a child acts like a projection in his choreography serves as a metaphor for the passing of time and eventually leads us to the beyond. Nadj sees this new work as an opportunity for the new generation to face the core subjects of the story. Interestingly enough, the new piece is much shorter than the original work, while its topic has become much wider – as if one wanted to immortalize the moment for eternity. Based on a personal story which transcends the subjective and, through artistic transformation, becomes an intimate mythology blossoming into a universal piece of art.